This transmission build service is recommended for all AWD 3S cars (3000GT, Stealth TT) making above stock power or for those who simply want it done right. As many AWD 3S owners know, it is nearly impossible to rebuild your unit. Parts are not easily accessible through the dealer and many other shops will simply not touch them. Those that try, do not have access to all of the parts needed for a quality and reliable rebuild. We can replace all synchronizer assemblies and bearings, not just a few small parts. 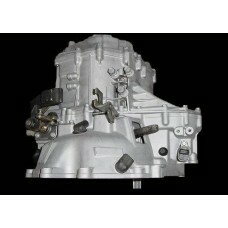 Our rebuild of your 3S AWD 5-speed transmission is very thorough and will perform and look better than new! Note: The early style 5th gear synchro has been discontinued by Getrag. In these cases, we will take a newer style and modify the key / ramps to allow it to fit with an early style hub/sleeve assembly. 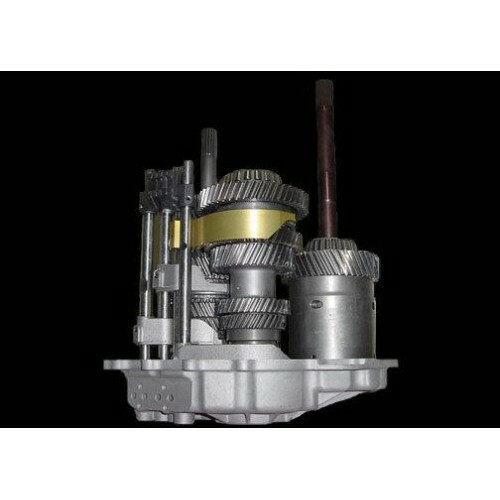 Jacks Transmissions has grown into a company which now services exotic and terribly complex DCT (dual clutch transmissions) used in the GTR, SST, Porsche, Audi, VW, and many more high end vehicles. Due to this exciting change, we have spent a lot of money for the state-of-the-art equipment needed to service these high dollar and expensive units. We have also designed and built many of our own parts for these vehicles. All machine work, cleaning, and detail work is performed in-house by very talented technicians and engineers. The quality you get from Jacks Transmissions is an unbelievable bargain. We do not know of anyone else who cleans the transmission via a 110gal Ultrasonic and Pulse-Jet unit, or who employs such talented people. 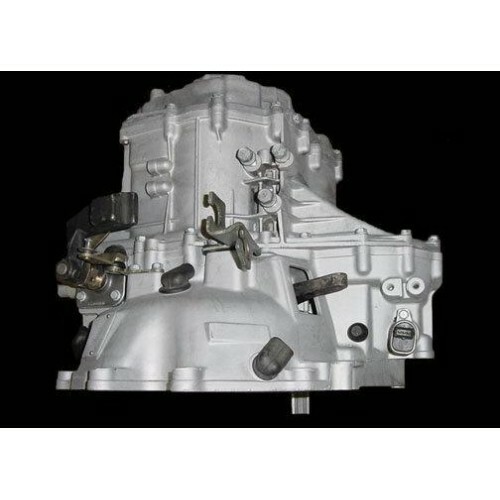 Exceptionally clean units are one of the many reasons why our Transmissions and Transfer Case assemblies are of the highest quality in the business! We have state-of-the-art cleaning equipment which other transmission builders and service shops could only dream of. With the best cleaning equipment, we also have a very clean facility. All units are built in a spotless environment using tools, and benches, which are clean and only used for assembly purposes. In other words, the same tools used to pull your dirty old transmission out of your car are NOT the same tools used to rebuild your pristine unit afterward. Take a look at the typical shop and check their tools. It is shocking how dirty things are in most shops and that dirt will end up in your unit. That does not happen here. The quality and experience you get from Jacks Transmissions shows with the overwhelming number of high-end vehicles we service in our shop. Be a part of the rare opportunity to have one of the cleanest and most experienced specialty shops in the World service your transmission! Our pricing structure was created to assure only the highest quality materials and workmanship. Anyone which beats our price is taking short-cuts which you will pay for in the end. Look into the details of our build services and you will see the additional attention we provide which is unique and cannot be duplicated. We love the Mitsubishi transmission and have not forgotten that it is these units which got us to where we are today. We will continue to service them as we want to continue to support the community. This is a great opportunity for the Mitsubishi enthusiast to have a build using the same high-end equipment to service the Mitsubishi transmission as we use for the expensive exotic units. This means that the cleanliness and attention to detail is unmatched! Please EMAIL us for price and availability. Many of the build services we offer can be performed on an 'exchange' basis. Core charges and core convenience fees are separate from the costs of the build service. In many cases, core fees can be refunded pending the condition of what we receive in exchange. Note: We will retain a 10% convenience for this service. Want to push your transmission even further? 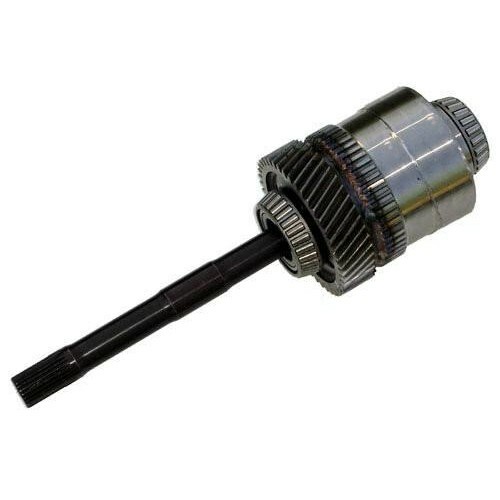 Consider upgrading your Front Diff to a Quaife LSD (includes new bearings) or changing out your aging Viscous Coupling / Center Differential assembly with a Torsen Center LSD. The SCE Torque Biasing Center differential enables your car to accelerate quicker and corner faster. How? By reducing the understeer and by sending the power to the wheels that could use it! Combine this with the Quaife, and never worry about having a diff failure! WPC is a permanent surface treatment that reduces friction while strengthening the part. Its unique micro-dimple formation pattern greatly reduces friction and is unmatched by conventional methods of surface treatment. It is a proven process that has been utilized for many years in the racing and automotive industry and is complimented by utilizing our Micropolish treatment. WPC can strengthen parts in two ways. First it adds an extremely high level of compressive stress at, and near, the surface. The second, is that the WPC treatment creates a Nano - Crystalline structure at the surface of the metal. Both of these mean that metal fatigue and crack initiation are both noticeably reduced; thus strengthening the gears and shafts inside of the transmission. Micropolishing is a gentle polish on the gears that will smooth and remove some stress concentrations uniformly. It also polishes the gears in the area they make contact with other parts, so you have less friction loss which means less heat, better fuel economy, and longer life. Any additional parts needed which are not listed or not part of this build will cost extra to replace. We will email pictures and detailed information if this is the case. We know you do not like surprises, so we try to make this process as painless as possible. If this turns out to be the case, though, please keep in mind that we just want you to have a high quality built assembly. Having your vehicle down is bad enough, so why cut corners and risk it again? Quality is the key here and sometimes it costs more to do this on a specialty or aging platform. Simply put, it is not worth the risk of using a sub-par component if an inspection reveals it is a weak link. Shipping your Transmission (or complete car) to us is simple! Most assemblies are shipped in a double walled custom made box. Your assembly will be sitting snugly, and safely, in preformed foam pads to assure safe delivery. In certain situations, though, we may need ship via a freight pallet. Please email or call us if you have shipping questions or for a quote.